People tend to depend so much on using credit not just for big expenses such as a car or a house, but even for everyday needs. A credit score is a measurement of how you are going to pay for all these. It summarizes in numerical form the contents of your credit report including your account information and other relevant public records. It somehow gives an impression as to whether you are likely to default on your payments or not. Three credit bureaus are up against each other in this case - Equifax, TransUnion and Experian. These three credit reporting agencies generally offer the same kinds of services, only packaged differently. In the case of Equifax, consumer solutions come in the form of effective risk management techniques which include credit information, asset and property data. 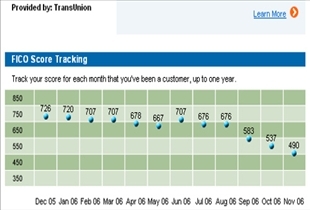 Credit capacity scores among other things fraud screening tools, marketing, and data management. TransUnion also provides marketing and anti-fraud services in addition to credit reporting and collection services. Experian, meanwhile, has four principal service lines – a wide range of credit services, decision analytics, marketing services and some interactive features. When it comes to customer support, the three bureaus boast of excellent customer care. Each one has a pool of personnel committed to serve the needs of the clients with utmost understanding and care. Equifax provides an online customer feedback form which an Equifax client can use to air out his concerns. It also has a FAQ section where you can readily find solutions to common issues as well as links to customer support contact information. TransUnion has a separate Contacts Us page which makes it easy for customers to find and navigate to. 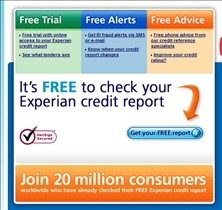 Experian also has a Contacts Us page, but one that is more detailed. It shows clients the different contact means for every type of problem they may need help with. If you want value for your money, the smartest choice may be TransUnion. TransUnion offers a 30-day free trial for your 3-in-1 creditor monitoring report and a minimal monthly fee of only $14.95 thereafter. Equifax’s rate for the same service is also $14.95 but it does not offer a trial period. Experian is the most expensive at $39.95. A wide range of services. All three credit bureaus offer the roughly same kinds of services: credit reporting, marketing, fraud detection tools, and data management. Client support. Equifax has an online customer feedback form, TransUnion and Experian have a Contacts Us page, but Experian’s is more detailed. Value for the money. TransUnion offers the best value for your money at $14.95/month with a 30-day free trial period; Experian is most expensive at $39.95/month. Best source for a credit report? I've used all of them, TransUnion is the best. I normally check TransUnion credit score. Comparison needs to be updated as I cannot find that Transunion offers a free trial period any long so now both Equifax and Transunion would be the same value and Experian no longer offers these services in Canada.